We figure that if you’ve had an accident, you already have enough headaches. So we make the entire repair process, including the filing of your insurance claim, as smooth as humanly possible. 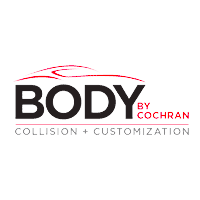 At Body by Cochran Collision & Customization, we work seamlessly with auto insurance companies to streamline the claims process. 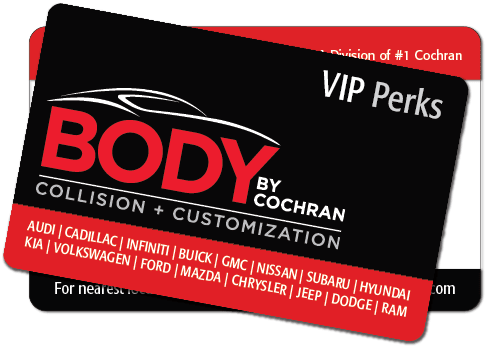 In fact, we’re preauthorized by all major insurance carriers, which means you won’t have to get an estimate from them before you get one from us. When your damaged vehicle is brought to one of our locations, our licensed underwriters and damage appraisers immediately get started, quickly and thoroughly inspecting your vehicle to expedite the process. There’s often some back and forth with the insurance carrier as we repair your vehicle. But we do that behind the scenes to save you the hassle, while always working on your behalf to make sure all the damage has been accounted for in your claim. Of course, communication with our customers is key and we always keep you apprised of any major developments.